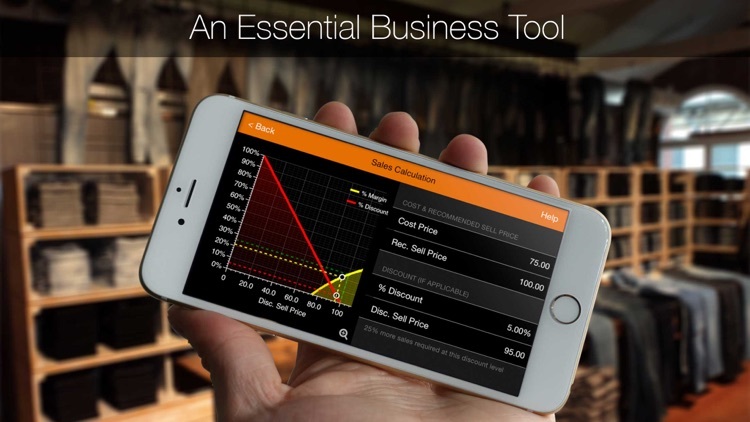 MarginCalc is an innovative sales tool that takes the hassle out of doing profit margin calculations. 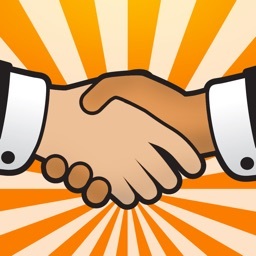 If there’s a sales component to your job, if you’re concerned about discounting or if you need people in your sales team to understand the true impact of discounts then this is the tool you need. A poor approach to discounting can kill your business. 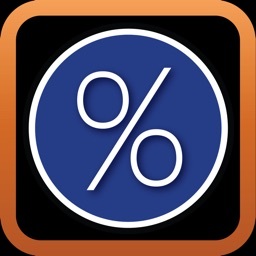 MarginCalc quickly makes it clear how a discount will affect your margin and how many more sales will be required to make up for it if it continues. MarginCalc is useful in a variety of sales situations and it is quick enough to use in a retail environment with impatient customers. 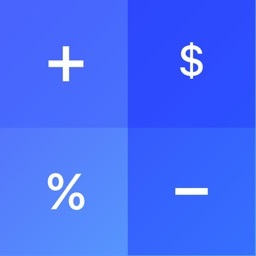 In portrait mode, MarginCalc provides a beautifully simple margin calculator. 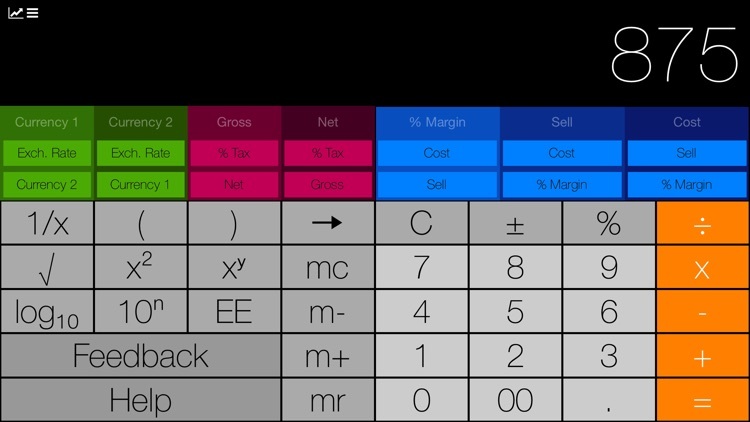 In landscape mode, additional keys are revealed allowing currency and tax calculations along with memory keys, brackets and miscellaneous mathematical functions. 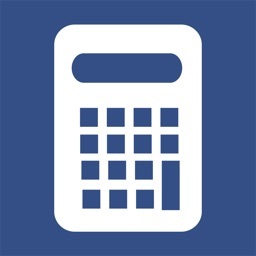 Tap the button at the top left of the calculator to reveal the interactive Sales Calculation Tool. 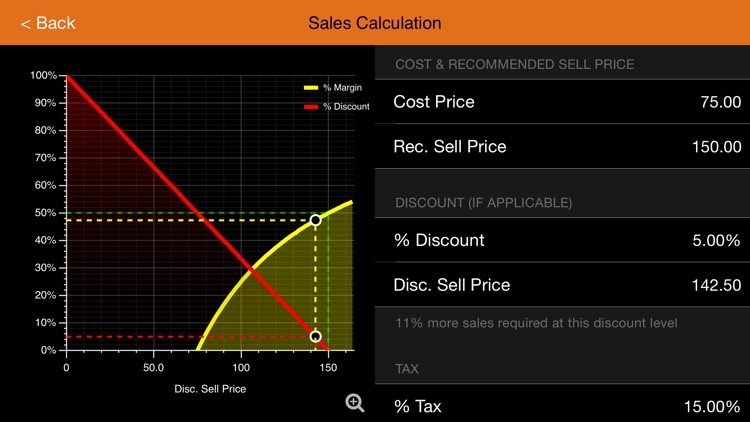 This shows a complete sales calculation including discounts, tax and profit. 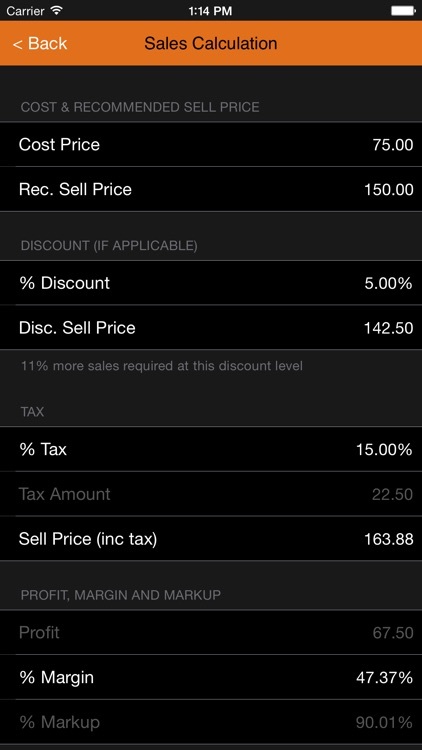 Adjustments to the discount can be done in several useful ways as well as by sliding your finger over the discount graph when in landscape mode. 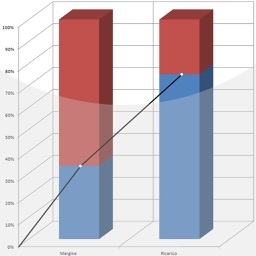 You will be able to see the true impact of a discount on your margin with speed and simplicity. 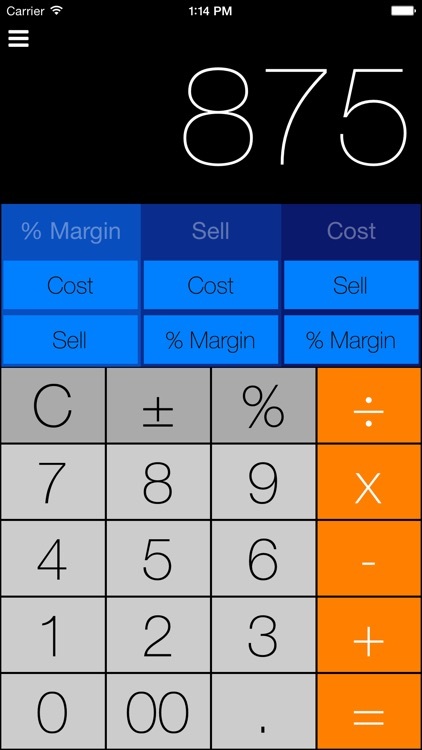 MarginCalc for iPhone and iPad. Optimized for iPhone 6 and iPhone 6 Plus.